A while back I posted an easy recipe for salsa and suggested you could make some nachos with it; so here we are. This is great with store bought salsa or with your own and is loaded with other tasty morsels which are still counting towards your 5 a day! Quick tip, do keep an eye on it under the grill (broiler) and make sure you use a heat proof plate! 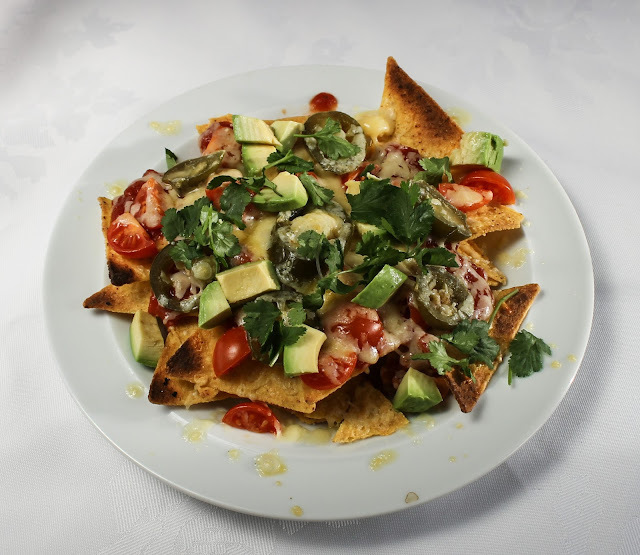 Put the chips on a plate and top with the quartered tomatoes, salsa, jalapenos and grated chedder. Put under a grill (broiler) until the cheese is melted keeping an eye that the chips don't darken too much. Top with freshly chopped avocado and coriander (cilantro) and serve. 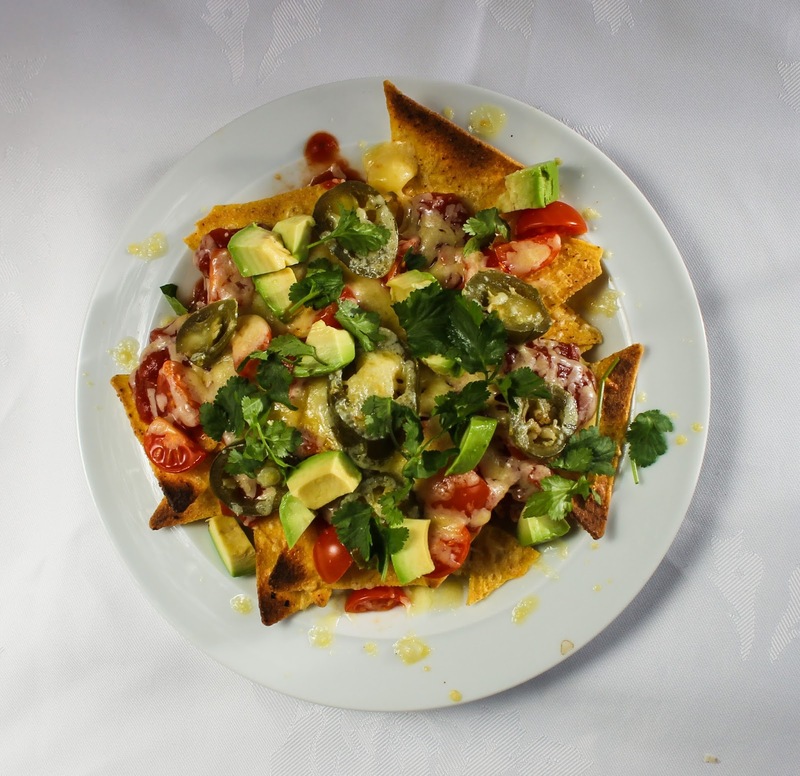 If you have some avocado left, tightly cover it, stick it in a fridge then you could make this great guacamole tomorrow (just trim off any which has discoloured). It's great in this Mexican sausage sandwich!